For most teens, high school is hard enough without the added stress of magical elements thrown into the mix. But the teens at Salem Public High School #4 not only have to deal with the ins and outs of normal class work, but the additional studying that comes with being a witch as well. You think you can barely stand regular chemistry? Try taking Elemental Chemistry when you can even control your own powers. Not enough time in the day to study for those pesky midterms? Why, there's a spell for that. Don't like the cafeteria's food? 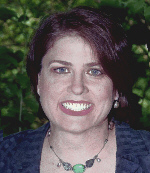 Go ahead and transform it—at your own detriment. In a place where nearly anything is possible, a lively time is sure to be had. 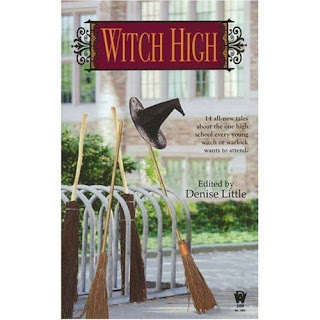 Witch High is an absorbing anthology full of fourteen short stories that range from humorous to foreboding, and snarky to heart wrenching. Each story depicts the life of a different person, most of them students, with a couple members of the faculty and staff, and each vary widely. Many of the stories are quite short, giving the reader a slightly rushed impression, and those with an attention for details may be bothered by the occasional contradiction of facts and details between stories. However, if readers can get past those minor faults, they're in for a fun and candid glimpse into an exciting and magical world. looks great. i must add that to my list and keep my eyes peeled for it. i love magic books and i rarely find some that are actually interesting, like witch high i mean they're witches and they're in regular high school..so cool!